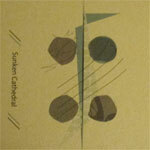 Sunken Cathedral is the work of Ryan Jobes with Evelyn Davis and Kimberley Sutton, playing a deep, chiseled, beautiful style of drone music. Pipe organ bleeds overtones, guitar feedback swells and swarms, cello wails and whispers. Three panel j-card. Two color offset printing with silver green and black inks on light blue, purple, green, opal or citrine stock. 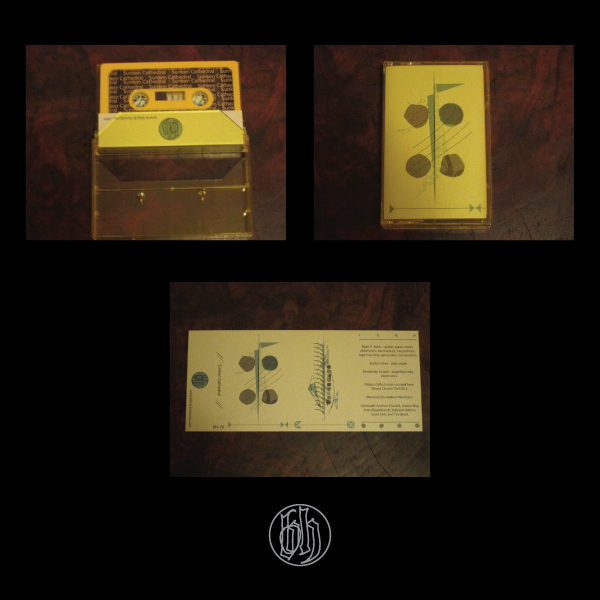 Edition of 100 copies on yellow orange tapes.